Mindful eating and mindful choices. Consumers might define themselves differently depending on their generation, but what they have in common is their quest to find foods and beverages true to the philosophy of a pure, simple, natural lifestyle. They are thoughtful and deliberate in the pursuit of sensory experiences that also promise and deliver authentic taste. 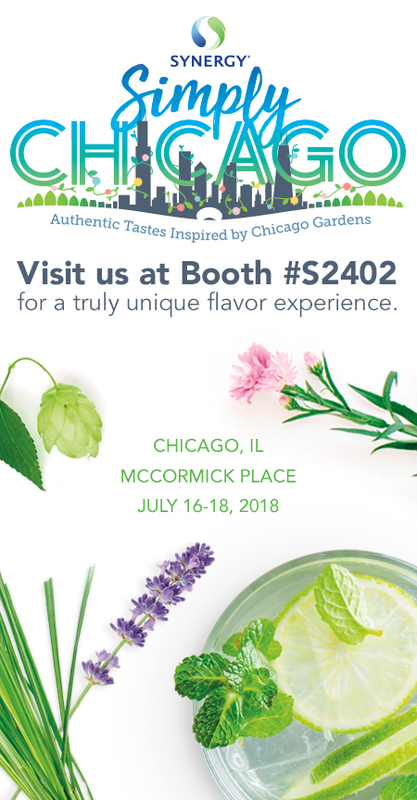 Synergy Flavors invites IFT attendees to pause and savor our flavor garden, inspired by the earthy freshness of famous green spaces in Chicago: The Chicago Botanic Garden, Morton Arboretum, and Community Gardens of Chicago Neighborhoods. Taste the difference Synergy Pure® extracts and essences, certified organic and other natural flavors can make in refreshing beverages, refined artisan chocolates and savory snacks.